Spaghetti recipes are always a big hit at our house. They are cold winter comfort food at their tastiest. There are literally dozens of ways to incorporate a tasty spaghetti sauce into a quick and easy weeknight dinner sensation. 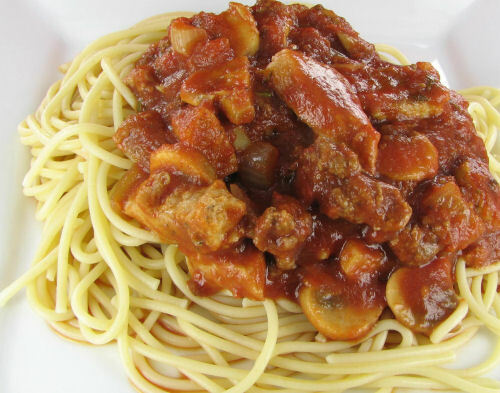 One of my earliest spaghetti recipes was a combination of both beef and pork that became a tradition in my family. I’ve since tweaked it in many different ways to give us the variety we want and the full Italian flavor that we love. 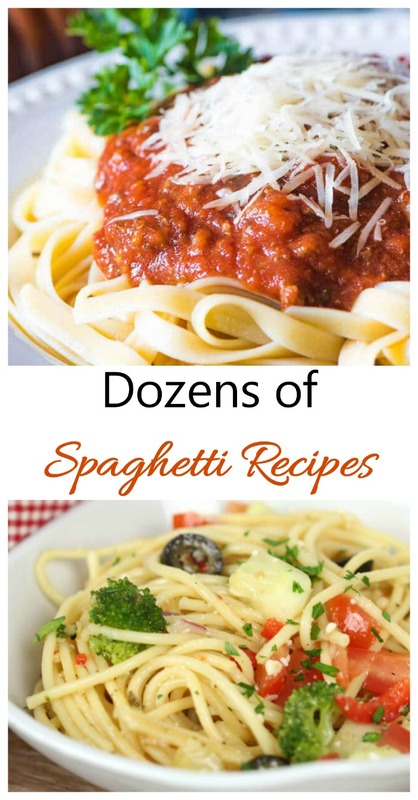 Since January 4 is National Spaghetti Day, I thought it would be fun to share some of my favorite spaghetti recipes as well as a few from my blogger friends. There is sure to be one that will tempt your family! 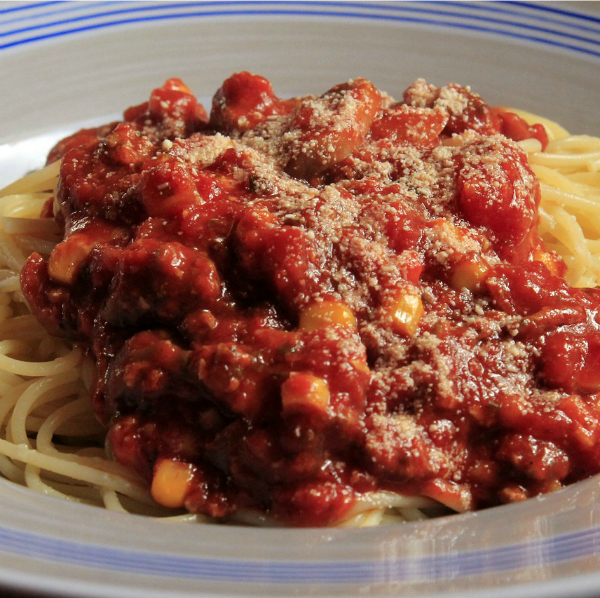 This amazing spaghetti sauce recipe is one of the most popular recipes on my blog. 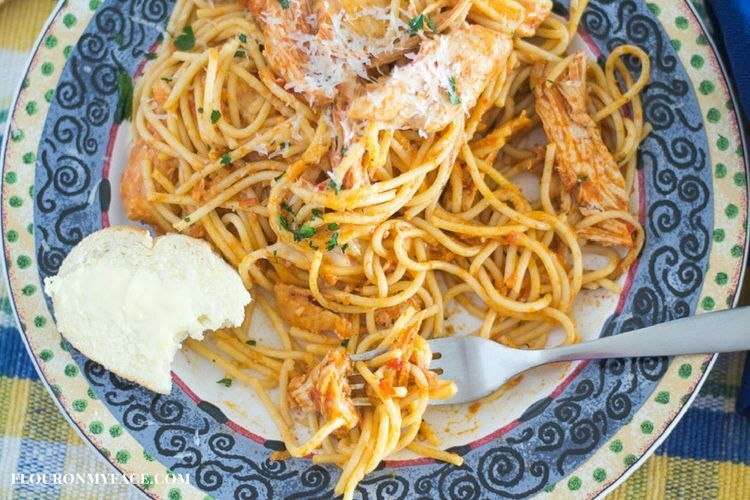 It’s easy to make and has a delicious buttery tomato sauce made with fresh tomatoes on the vine. 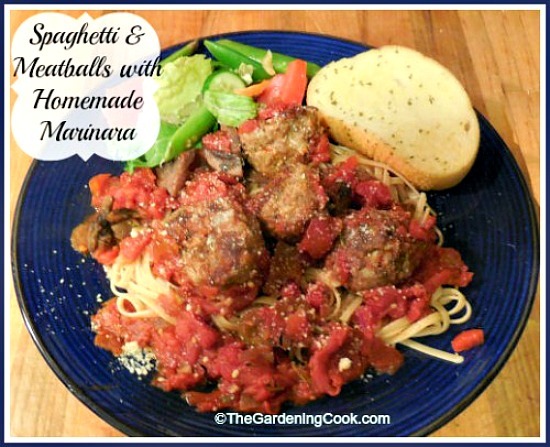 And the precooked meatballs gets this Abruzzese Italian Meatballs recipe on the table in a hurry. If you try just one recipe, this is it! Most of the time, I just use ground beef in my recipes, but every so often, I get the yen for big FAT meatballs. 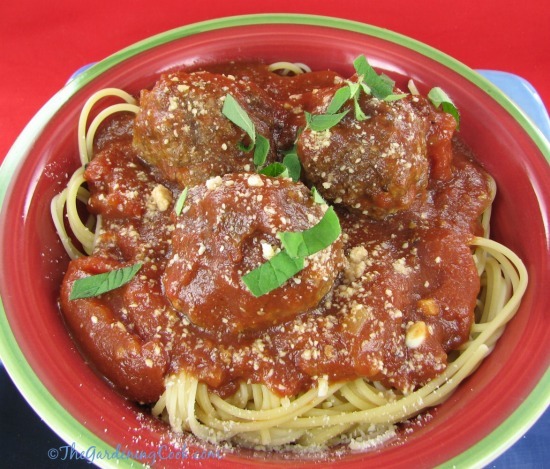 When that urge hits, this recipe for Savory Italian Meatballs fits the bill nicely. It takes a bit of time to prepare, but is so worth it! Panko bread crumbs gives these meatballs a lighter texture. The home made marinara sauce is to die for! 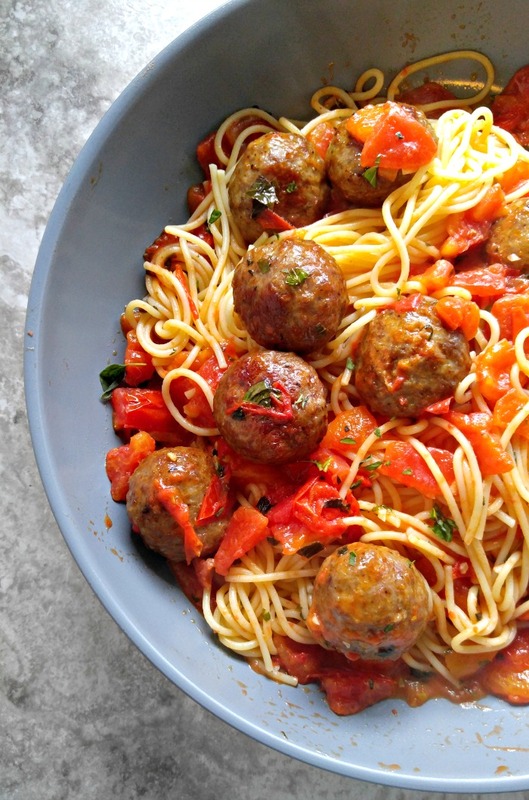 Make a batch of these Spaghetti and meatballs in marinara sauce today! 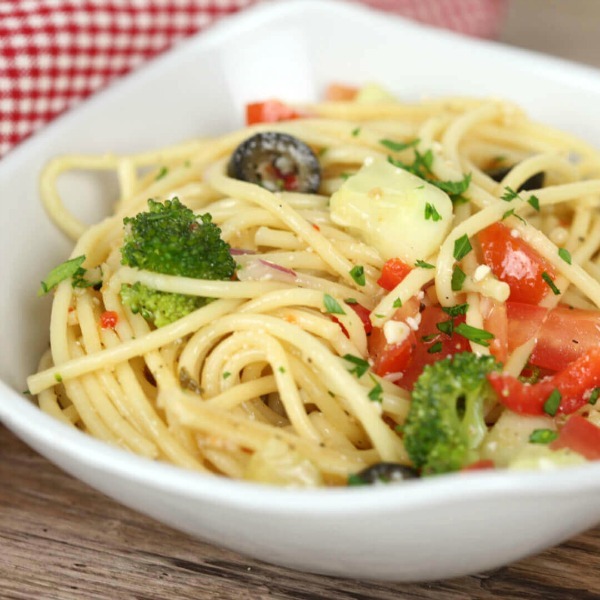 If you are looking for something a bit on the lighter side, try this Cold Spaghetti salad with Italian Dressing. It uses lots of healthy veggies to round out the flavor. 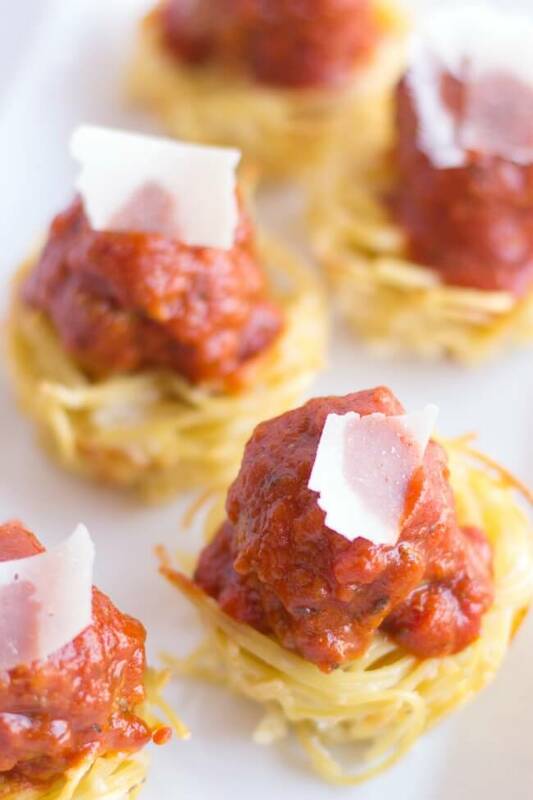 These spaghetti and meatballs Muffin bites are a mouth full of Italian goodness. You could even make them for breakfast! Not all spaghetti recipes are made with beef. This tasty crock pot cheesy chicken recipe is easy to make and features chicken as the protein star. This is the spaghetti sauce recipe that started it all. It uses both pork and ground beef for a chunky texture. I always make a big batch of this homemade spaghetti sauce with pork and freeze some to use later. It’s delicious! 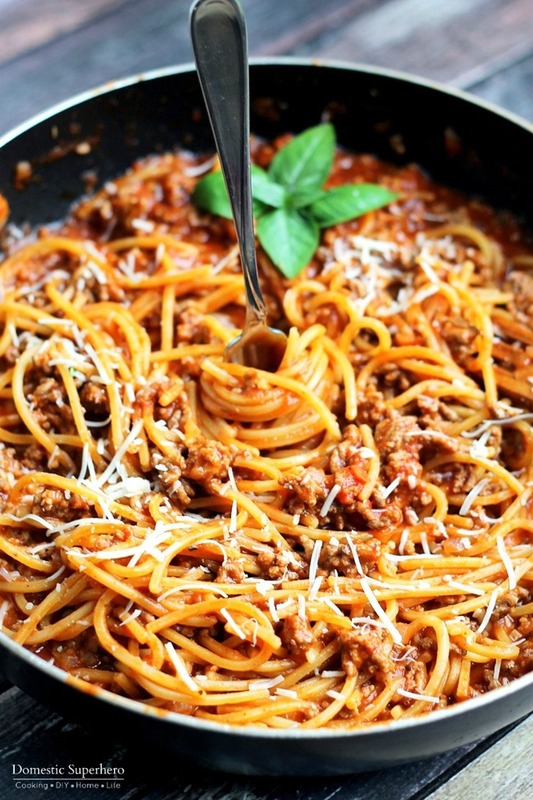 This one pot Spaghetti recipe is one your family will love, and you’ll love the easy clean up after cooking! This healthy homemade spaghetti sauce has no added sugar and is full of Italian flavor. A good spaghetti recipe starts with a great sauce. I make my marinara sauce with roasted tomatoes and it adds natural sweetness to the dish and makes any spaghetti recipe taste better. Looking for some more inspiration for Italian night? 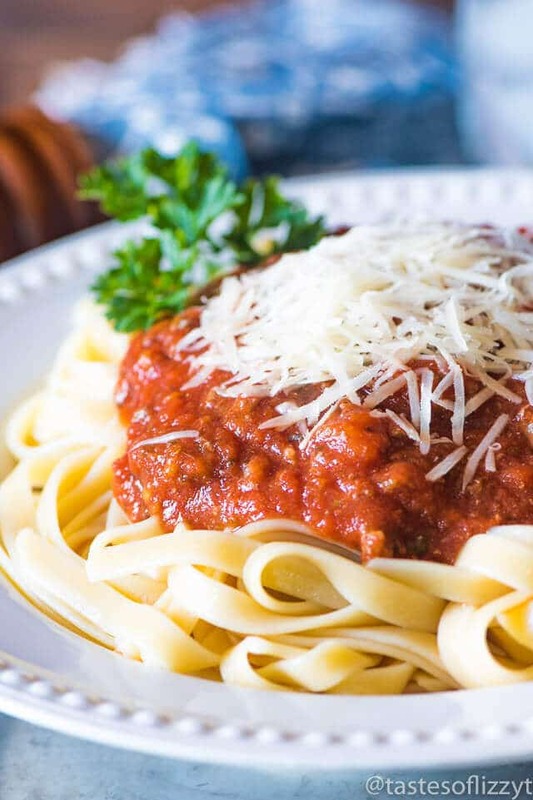 Try one of these amazing spaghetti sauce recipes.